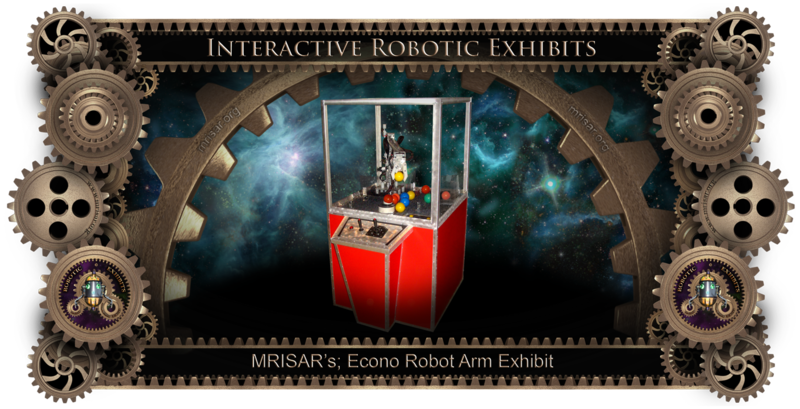 The Economy Robot Arm Exhibit is the simplest and lowest cost of our robot exhibit line. Maintenance will require the most basic tools and very little time. The exhibit is view-able from four sides through poly-carbonate windows. The visitor’s task is to move a number of balls to a specific position on the activity area of the exhibit. 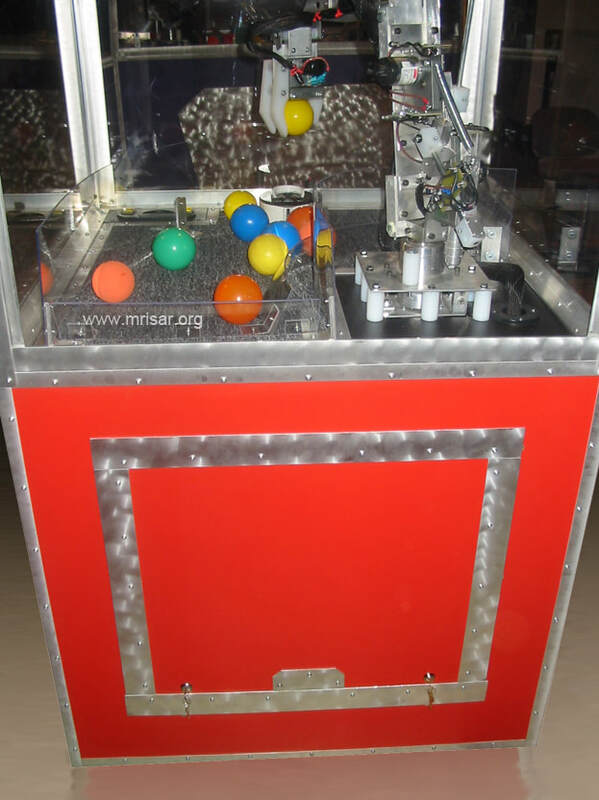 The exhibit keeps a count of the user’s progress and after a preset time interval the exhibit times out for the next user. The arm is usable for any age range of visitor. The visitor experiences the dexterity and manipulation of an arm along with the visual engineering elements. This arm is totally open framed for educational viewing which relates to STEM and is based closely on the proportions of an actual human arm. 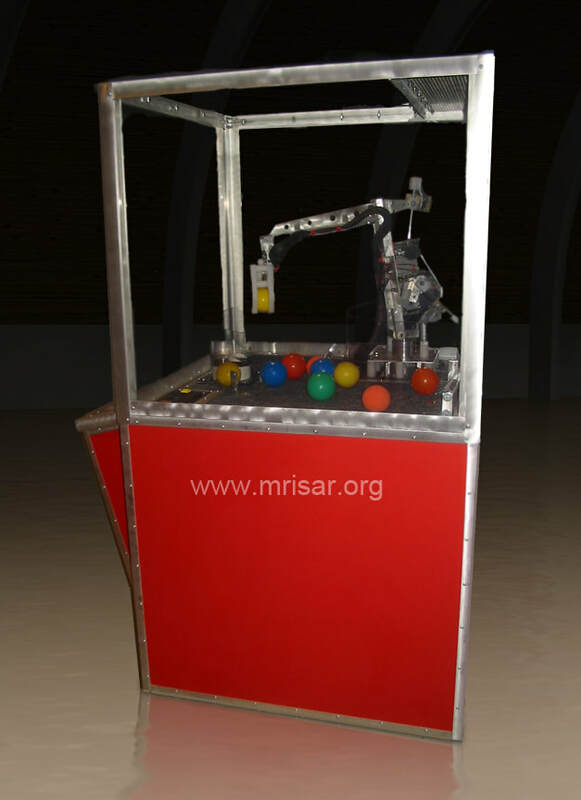 It is especially designed with safety features and force limits the exhibit is configured as a demonstration arm to illustrate remote handling applications for robotics. Remote handling robots are used by industry, aerospace and commercial establishments to extend human capabilities in hazardous situations. The control panel is 6061 aluminum. The arm has pressure sensitive and end of travel limits, and can adapt to any arrangement of objects stacked in its path. It is made of light weight 6061 Aluminum. 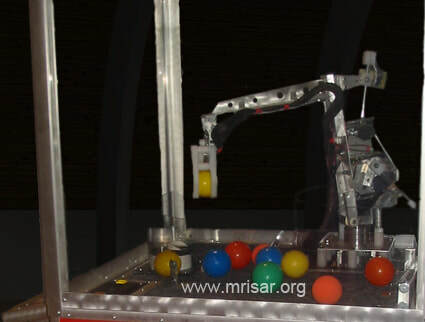 The arm is a four degree of freedom model that conforms to the same 39” standard length as the rest of our regular robot arm exhibits. 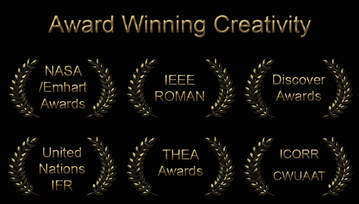 As such the arm is still as impressive as the other arms we produce. ​The fingers come in either black or white UHMW.​ All major components are off the shelf items. 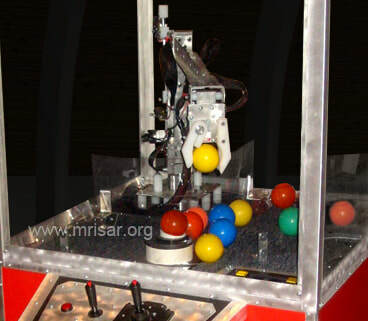 The four range of motion version of the arm is designed specifically to pick up balls. The approximate size of the case is 36” x 36” x 5’ 6” high. Exhibits are available in a wide variety of colors.